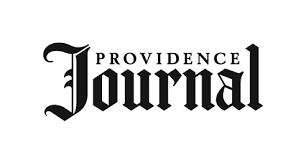 In his Feb. 4 Commentary piece (“Getting harder to do business in R.I.”), Christopher Carlozzi repeats the claim that raising the minimum wage harms workers and the economy. Carlozzi, the Rhode Island and Massachusetts state director for the National Federation of Independent Business, attempts to back up this claim by pointing to the effects of minimum wage hikes in Boston and Seattle. But the evidence he offers is far from compelling. Without providing any source, he writes of “a number of restaurant closures, where wages and labor costs are cited as the culprit.” However, an internet search turns up a single Faneuil Hall restaurant, Durgin Park, about which the CEO pointed to the increased minimum wage as only one factor among others — increasing health-care costs, increasing building upkeep costs, a decreasing customer base, and increasing competition. Hardly a condemning indictment of increasing the minimum wage from $11 to $12 per hour on Jan. 1. Now, Carlozzi may indeed be able to cite other cases, but it seems unlikely that — to the exclusion of other factors — this recent one-dollar hike in the minimum wage in Massachusetts figures as the culprit causing multiple small-business closures. As for Seattle, Carlozzi invokes an October 2018 city-sponsored report. The actual conclusions of this report do not demonstrate a failure caused by increasing minimum wage. Although the authors do conclude that new entrants to the work force did not fare as well with the increase, those already in the work force did benefit from the change. The study also presented a rosier outlook compared with a similar study conducted by the same team the year before. Furthermore, the Seattle study was not free of flaws. As the Economic Policy Institute’s Ben Zipperer has explained, the study missed at least two important pieces: it did not account for the improving Seattle-area economy prior to the minimum wage increase; and it left out workers for companies, such as chain restaurants, with multiple locations (such workers accounted for nearly one-third of lower-wage workers in Washington state). The fact is that numerous academic studies and reviews have failed to identify the feared disaster from increasing the minimum wage. Individuals and families depending upon the current minimum wage cannot afford the basic necessities of living in Rhode Island. When we increase the minimum wage to more reasonable levels, most of the additional wages get recycled into the local economy, producing ripple effects not generated by tax cuts for those who are already quite wealthy. Someone with an annual salary of $50,000 earns about $24 per hour for a 40-hour work week; at an annual salary of $100,000, we are talking $48 per hour; for those making $1 million per year, that’s $480 per hour or $8 per minute. We ought to be able to pay hard-working, lower-wage workers more than the current $10.50 per hour. Alan Krinsky, of Providence, is the senior policy analyst for the Economic Progress Institute.